St Cuthbert’s Way, a distance of approximately 70 miles, from Melrose to Holy Island, was completed over four days by eight walkers in total, from Thursday 26th September to Sunday 29th. 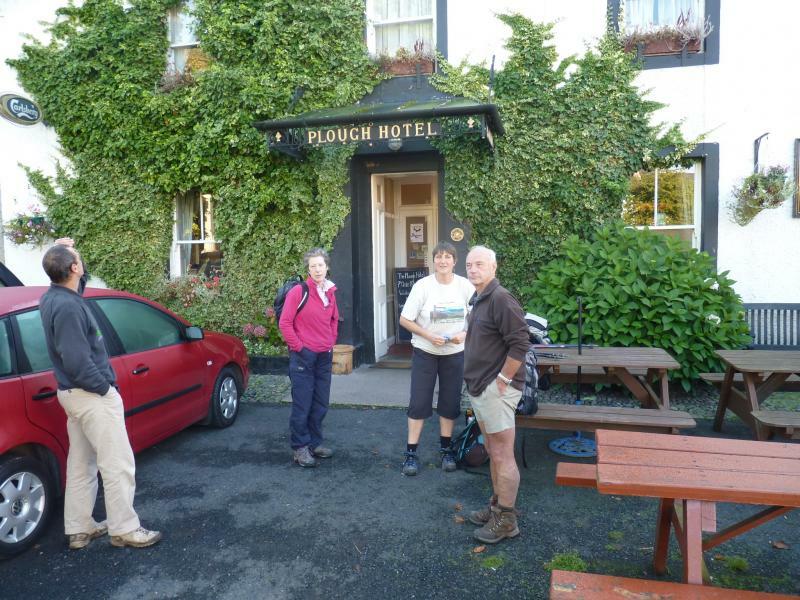 Five of the party completed the route as a group, our volunteer bag handler Richard walked and ran the stages, and two others explored the Way at a more leisurely rate, by car and on foot. Accommodation was in B&B’s, arrangements by Easiways. Excellent weather was enjoyed throughout the four stages, each of which had its own distinct character. Thursday began in Melrose at Russells’ tea-shop with copious coffee, pancakes and cheese scones - and a glimpse of Sir Tony Robinson and camera crew . . . St Cuthbert and Blackadder, two celebrities for the price of one! The longest section at 20 miles, this stage was arguably the most varied and interesting. From Melrose, an initial steep climb over the Eildon Hills set the motors running and the rest of the walk led us along river banks, a golf course, through settlements, agricultural land, along a Roman Road (Dere Street) through woodland and estate parkland at Monteviot, ending up in Jedburgh for the night. 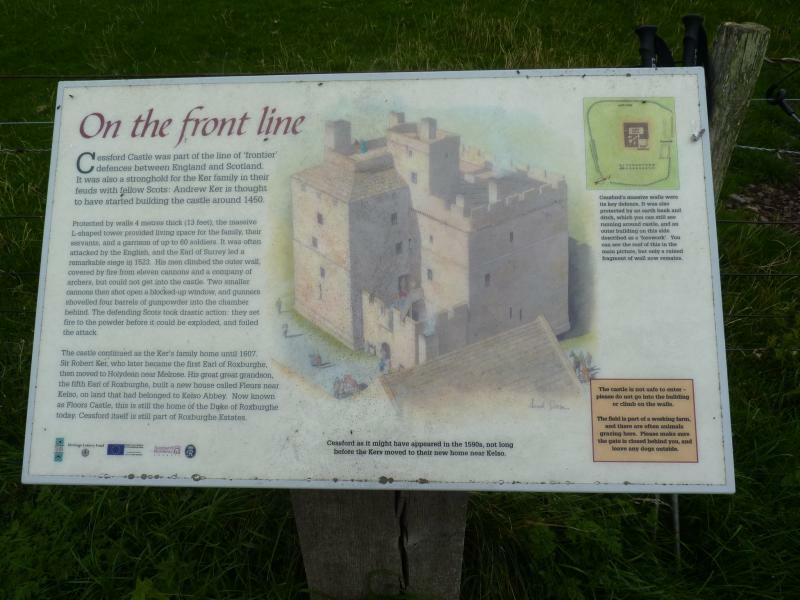 Leaving Jedburgh on Friday morning we regained the path and climbed steadily into the hills through woodland and on to Cessford Castle, stronghold of the Kers, ancestors of the modern day Dukes of Roxburghe, with lunch in the village of Morebattle. This stage was characterised by steady ascent and descent, more demanding than day one but rewarded by panoramic views from Grubbit Law and Wideopen Hill (the halfway point of St Cuthbert’s Way) of the Eildon Hills whence we had come and then towards the Cheviots. We dropped down again to Town Yetholm, having completed 17 miles. 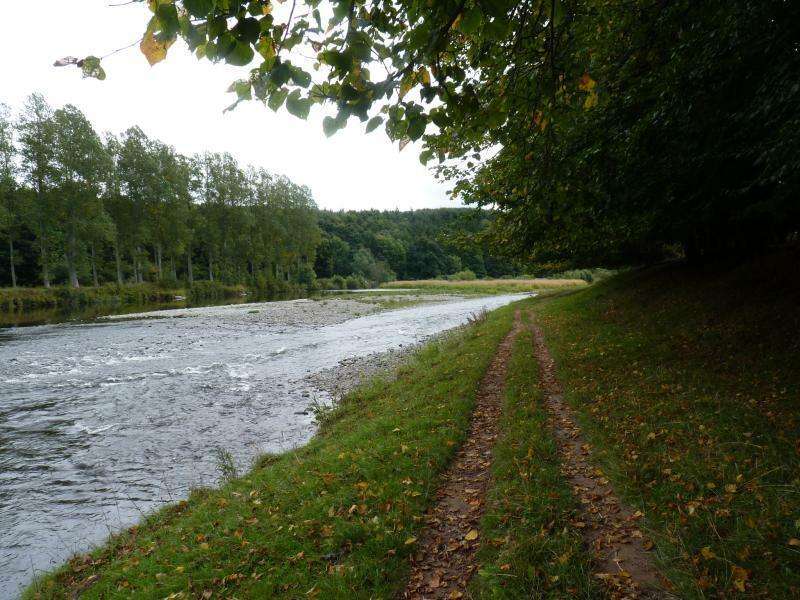 Saturday’s stage (14 miles) was the toughest, starting at Town Yetholm and ending in Wooler. An idyllic lunch in warm sunshine by the side of College Burn, just below the Arts and Crafts cottages at Hethpool, provided a welcome break from steady climbs as we progressed to Tom Tallon’s Crags via digressions to prehistoric earthworks and hill forts. Reward for the effort made was first class accommodation, evening meal and breakfast in Wooler. 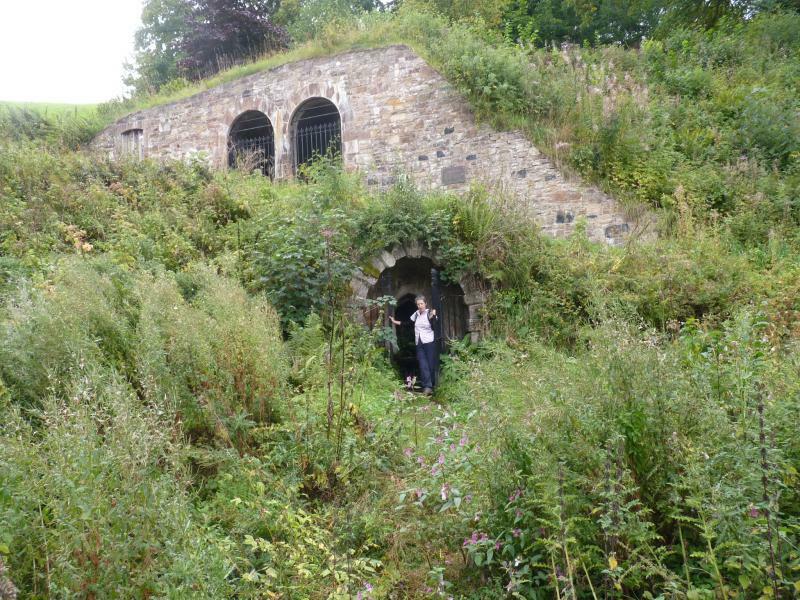 From Wooler we climbed through the Weetwood area up towards St Cuthbert’s Cave, where the remains of the saint were said to have rested on the long journey from Lindisfarne finally to Durham. After encountering 200 or so horses and riders taking part in the charity Wooler Ride, we headed further eastwards for our first view of the sea and Holy Island where even the most pragmatic walker must experience a stirring of the soul, (or was it just relief that the exertions are nearly at an end?) Past Fenwick, having crossed the railway, we headed towards Lindisfarne, taking the traditional Pilgrims’ Path across the sands to complete the walk, with 17 miles on the final stage. Lifts from Richard and Paul took us back to Lowick for the final night’s accommodation. 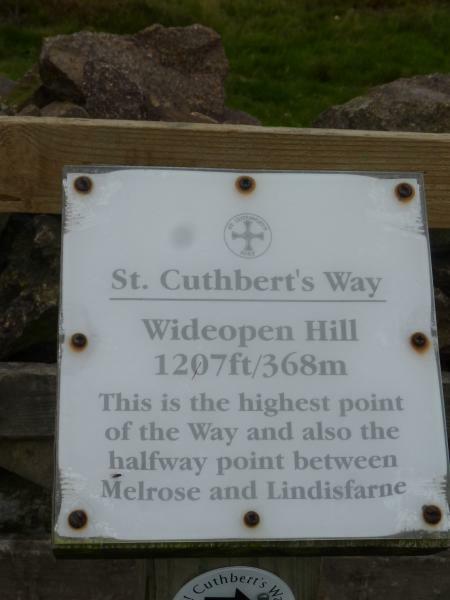 According to the guide book “it is clear from accounts of his life, that St Cuthbert found great solace and true refreshment in walking” and, as the route of St Cuthbert’s Way links a number of places associated with his story, walking the way can be enjoyed as “a modern pilgrimage”. Our experience was of an interesting, well-marked and well-trodden way through varied landscape, and a challenge with appeal for all levels of walker, as the guide puts it “from macho backpacker to anyone of reasonable fitness”. Thanks are due to James Crockett for organising the walk, to all participants, without whose support a successful long distance walk just does not take place, to Paul and Mary for being available as back-up, fortunately not needed, and especially to Richard Unwin who was the invaluable go-to man for baggage transportation and a welcome lift back from Lowick to Melrose. His contribution ensured a seamless transition from stage to stage throughout the walk. Well done, everyone! Where to next year?